rediff.com: Pancham: One of a kind! It is hard, very hard, to list my favourite melodies of Rahul Dev Burman, a man who left behind a legacy of rich, melodious, lively music that transcended the barriers of time and age. How can you pick just a few from a treasure trove? Of course, today, the fact that his music has transcended time, also makes him the remix people's delight. But that's a different topic. Perhaps one of the most noteworthy aspect of R D music was its spontaneity. More important, the ability of his music to connect with people. R D Burman understood the mystery and magic of music. He was, is, and will always be one of a kind. January 4 marked his 10th death anniversary. A tribute to the baby-faced man who made me and most of my generation fall in love with the radio. R D's mellow creations win my vote over his rhythmic, hip-shaking chartbusters from Yaadon Ki Baaraat, Hum Kisise Kum Nahin or Zamane Ko Dikhana Hai. 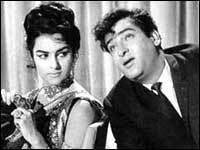 Tumne mujhe dekha (Teesri Manzil): Although O haseena zulfonwali and O mere sona re were a rage, my personal favourite is the elegantly composed Tumne mujhe dekha. Raina beeti jaaye (Amar Prem): An unforgettable melody. Truly classic! Dekha na (Bombay To Goa): Fast-paced, foot-tapping and at times crazy, Dekha na had Amitabh Bachchan and the nation dancing to its tune! Diye jalte hain (Namak Haram): One of the most beautifully written songs on friendship treated with complete justice by R D's gentle melody. 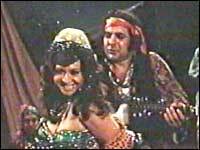 Mehbooba (Sholay): The strings, the beats and the vocals! Mehbooba was all about vivacity. Mere naina sawaan bhadon (Mehbooba): R D captured the reincarnation theme of the film by lending a haunting touch and a sense of incompleteness to this song. Iss mod se (Aandhi): Gulzar and R D were an unbeatable combination. 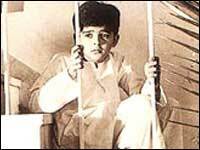 R D's understated melody was a perfect foil to Gulzar's words. Iss mod pe from Aandhi is one prime example. Aapki aankhon mein kuch (Ghar): Ditto for Ghar. The freshness of this song hasn't staled an inch. Jaane kaise (Shakti): This upbeat romantic number was further enhanced by the use of 'wop wop' sounds in the orchestration. Trust R D to make music out of a racket. O manjhi re (Khushboo): O manjhi re was more an experience than a song. It is so easy to imagine yourself on a boat philosophising about life and its musings. Pyar humein kis mod (Satte Pe Satta): Actually, it is a tie between Pyar humein is mod and Dilbar mere. But what makes Pyar humein kis mod pe special is its sheer boyishness and spontaneity. Kisi baat par mein kissi (Bemisaal): When the pieces of a puzzle fall into place, it makes a perfect picture. The same applies to this song. R D's brooding tune, Anand Bakshi's eloquent lyrics and Amitabh Bachchan's mysteriously sulky disposition fell into place. And a perfect song was created. Do naina aur ek kahani (Masoom): Everything about Masoom rocks. Tujhse naraaz, Lakdi ki kaathi and Huzoor iss kadar are marvels in their own right. But the bedtime lullaby in Aarti Mukherjis divine voice is a personal favourite. Kya yahi pyaar hai (Rocky): Mushy, sweet and melodious. Sanjay Dutt owes his first and most memorable love song to R D.
Thodisi zameen (Sitara): R D's sunny music, Bhupinder and Lata Mangeshkar's playful vocals and Gulzar's fascinating lyrics make this one a beauty. Roz roz aankhon tale (Jeeva): This regular Bollywood film didn't deserve such a beautiful song. But then, the only reason anyone would remember Jeeva is this timeless tune. Katra katra (Ijaazat): R D and Gulzar at it again. 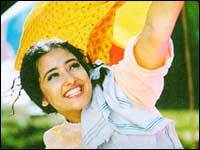 Asha Bhosle's beautiful voice and R D's zingy melody make Katra an instant winner. Pyar hua chupke se (1942: A Love Story): R D's compositions for Vidhu Vinod Chopra's pre-Independence love story were unlike any other. Pyar hua chupke se's lilting beauty was hard to miss. Ek ladki ko dekha, Kuch na kaho and Yeh safar were some of the others gems in the soundtrack.